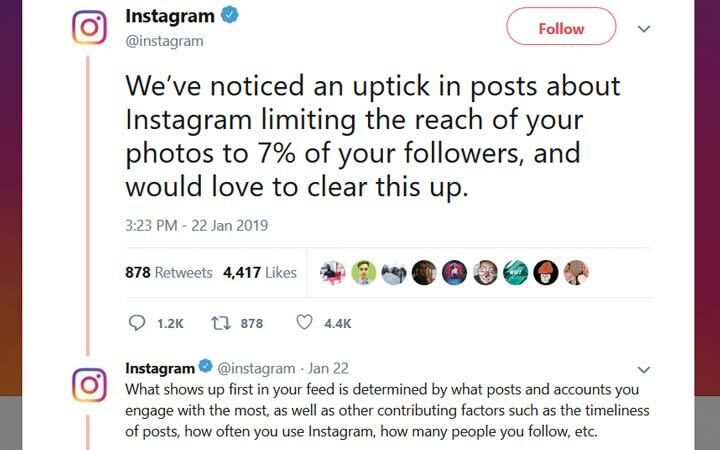 Amidst viral user claims accusing Instagram’s algorithms of limiting the reach of posts to just 7 percent on its platform, the photo-messaging app took to Twitter to deny the claims. These claims have been floating around on Pinterest, Facebook and Instagram since the beginning of 2018 and recently gained more traction, accumulating thousands of likes, The Verge reported late on Wednesday. “What shows up first in your feed is determined by what posts and accounts you engage with the most as well as other contributing factors such as the timeliness of posts, how often you use Instagram, how many people you follow,” the Facebook-owned platform tweeted. 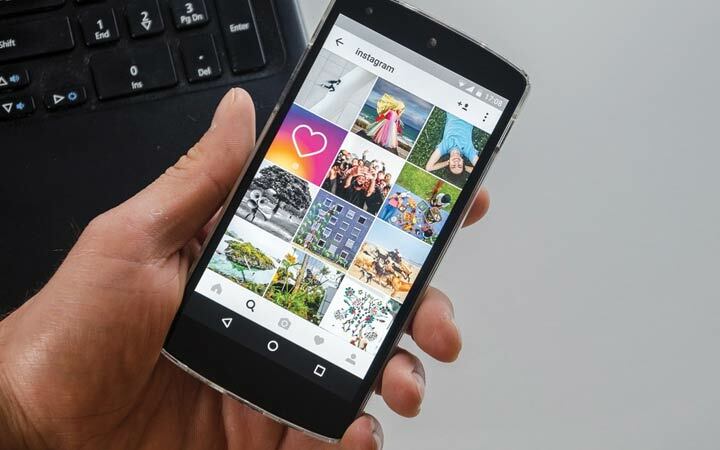 Many users responded to Instagram’s tweet, saying that they preferred the chronological feed that does not use algorithms to guess their preferences, the report added. Show me chronological of every account I chose to follow. If I don't want to see stuff, I will unfollow. Don't think you know what I want to see, how I want to see it and make the decision on how I see things without consulting me. “Again, your feed is personalized for you and evolves over time based on how you use Instagram,” the photo-messaging app tweeted.